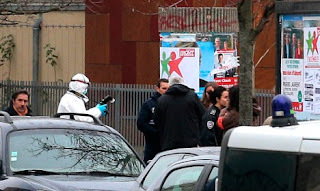 France's education minister announced on Monday that the government would be stepping up security at schools after a teacher was stabbed by a man shouting about the terror group Isis. Najat Vallaud-Belkacem, France’s minister of education called the attack on an elementary teacher near Paris “an unacceptable act of immense gravity”. The minister confirmed that security would be stepped up at schools in the country, where measures are already in place following the Paris attacks of November 13th. "We will continue to work with the Ministry of Interio, to strengthen security measures in a context where, yes, schools do feel threatened,” said Vallaud-Belkacem. Monday’s attack saw a man armed with a box cutter enter the classroom at around 7.30am where a teacher was preparing for the day. After stabbing the teacher several times the attacker reportedly shouted “This is for Daesh. This is a warning”. Daesh is another term for Isis. He then fled and is currently being hunted by police. 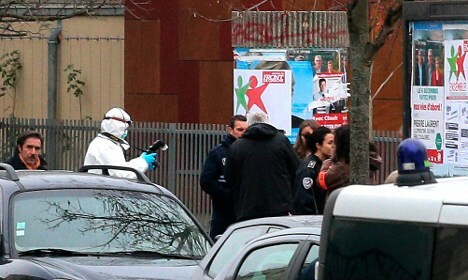 Local authorities have said that the police presence would be stepped up at all the schools in the Aubervilliers area. The school where the attack took place remained closed on Monday with authorities and police set to hold a meeting on Tuesday. French authorities are particularly concerned because earlier this month the Islamic State's French-language magazine Dar-al-Islam called in its November edition for its followers to kill teachers in the French education system, describing them as "enemies of Allah". "This education, in the case of France in particular, is a means of propaganda used to impose the corrupt way of thought established by the Judeo-masonry," it said. "Muslims must know the French education system is built against religion and Islam as the only religion of truth cannot cohabit with this fanatic secularism." With France under a state of emergency following the Paris attacks, security measures are already in place for schools including a ban on parking outside the front of establishments. Police patrols have already been stepped up although school trips are now allowed after they were banned in the immediate aftermath of the attacks.